In France, the Duke of Windsor (formerly King Edward VIII of Great Britain and Northern Ireland) marries Wallis Warfield [formerly Simpson], the American divorcée for whom he abdicated the British throne in December 1936. Edward, born in 1896, was the eldest son of King George V, who became the British sovereign in 1910. He served as a staff officer during World War I and in the 1920s made extensive goodwill trips abroad as Prince of Wales, a title bestowed on male heirs to the British throne. During the Depression, he helped organize work programs for the nation's unemployed and was highly regarded by the public in the years leading up to his father's death. Edward, still unmarried as he approached his 40th birthday, socialized with the fashionable London society of the day and frequently entertained at Fort Belvedere, his country home. By 1934, he had fallen deeply in love with American socialite Wallis Warfield Simpson, who was married to Ernest Simpson, an English-American businessman who lived with Mrs. Simpson near London. Wallis, who was born in Pennsylvania in 1896 and brought up in Maryland, had previously married and divorced a U.S. Navy pilot. The royal family disapproved of Edward's married mistress, but by 1936 the prince was intent on marrying Mrs. Simpson. Before he could discuss this intention with his father, George V died on January 20, 1936, and Edward was proclaimed king. The new king proved popular with his subjects, and his coronation was scheduled for May 1937. His affair with Mrs. Simpson was reported in American and continental European newspapers, but due to a gentlemen's agreement between the British press and the government, the affair was kept out of British newspapers. On October 27, 1936, Mrs. Simpson obtained a preliminary decree of divorce, presumably with the intent of marrying the king, precipitating a major scandal. To the Church of England and most British politicians, an American woman twice divorced was unacceptable as a prospective British queen. Winston Churchill, then a Conservative backbencher, was the only notable politician to support Edward. Despite the seemingly united front against him, Edward could not be dissuaded. He proposed a morganatic marriage, in which Wallis would be granted no rights of rank or property, but Prime Minister Stanley Baldwin rejected this as impractical on December 2. The next day, the scandal broke on the front pages of British newspapers and was discussed openly in Parliament. With no resolution possible, the king renounced the throne on December 10. The next day, Parliament approved the abdication instrument, and Edward VIII's 325-day reign came to an end. That evening, the former king gave a radio broadcast in which he explained: "I have found it impossible to carry on the heavy burden of responsibility and to discharge the duties of King, as I would wish to do, without the help and support of the woman I love." On December 12, his younger brother, the duke of York, was proclaimed King George VI. That day, the new king made his older brother the duke of Windsor. By that time, Edward had already left for Austria, where he lived with friends apart from Mrs. Simpson as her divorce proceedings progressed. Her divorce became final in May 1937, and she had her name legally changed back to Wallis Warfield. On June 3, 1937, the duke of Windsor and Wallis Warfield married at the Chateau de Cande in France's Loire Valley. A Church of England clergyman conducted the service, which was witnessed by only about 16 guests. Wallis was now the duchess of Windsor, but King George, under pressure from his ministers, denied her the title of "royal highness" enjoyed by her husband. For the next two years, the duke and duchess lived primarily in France but visited other European countries, including Germany, where the duke was honored by Nazi officials in October 1937 and met with Adolf Hitler. 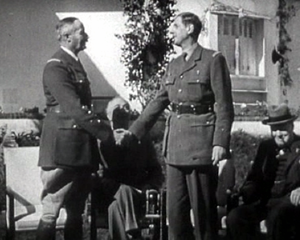 After the outbreak of World War II, the duke accepted a position as liaison officer with the French. In June 1940, France fell to the Nazis, and Edward and Wallis went to Spain. During this period, the Nazis concocted a scheme to kidnap Edward with the intention of returning him to the British throne as a puppet king. George VI, like his prime minister, Winston Churchill, was adamantly opposed to any peace with Nazi Germany. Unaware of the Nazi kidnapping plot but conscious of Edward's pre-war Nazi sympathies, Churchill hastily offered Edward the governorship of the Bahamas in the West Indies. The duke and duchess set sail from Lisbon on August 1, 1940, narrowly escaping a Nazi SS team sent to seize them. In 1945, the duke resigned his post, and the couple moved back to France. They lived mainly in Paris, and Edward made a few visits to England, such as to attend the funerals of King George VI in 1952 and his mother, Queen Mary, in 1953. It was not until 1967 that the duke and duchess were invited by the royal family to attend an official public ceremony, the unveiling of a plaque dedicated to Queen Mary. Edward died in Paris in 1972 but was buried at Frogmore, on the grounds of Windsor Castle. In 1986, Wallis died and was buried at his side. Dunkirk: The evacuation of allied troops is completed. Over 335,000 British, French and Belgian troops are rescued. On this day in 1940, the German air force bombs Paris, killing 254 people, most of them civilians. Despite the fact that the British Expeditionary Force is completing its evacuation at Dunkirk, and that France is on the verge of collapse to the German invaders, the British War Cabinet is informed that Norway's king, Haakon VII, has expressed complete confidence that the Allies will win in the end. 1941 World War II: USA: Statistics from a Gallup Poll show that 83% of the American people are against entering the war. Midway Island: An American patrol plane sights a Japanese force of 200 ships approaching Midway Island. B-17s from Midway unsuccessfully attack Admiral Kondo's group of heavy support ships. Aleutian Islands: The Japanese continue their attack on the two westernmost Aleutian Islands, Kiska and Attu; the only American soil to be occupied by the Japanese during World War II. The attack is an attempt to divert the Americans' attention from Midway. See June 4. The major social change brought about by the United States' involvement in the war was the recruitment to the armed forces of over four million civilians and the entrance of over five million women into the war-time labour force. The rapid increase in military recruitment and the radical shift in the composition of the labour force led in turn to changes in family life, particularly the erosion of parental control and authority. The large scale and prolonged separation of millions of families precipitated an unprecedented increase in the rate of juvenile crime and delinquency. By the summer of 1943 it was commonplace for teenagers to be left to their own initiatives whilst their parents were either on active military service or involved in war work. The increase in night work compounded the problem. With their parents or guardians working unsocial hours, it became possible for many more young people to gather late into the night at major urban centers or simply on the street corners. The rate of social mobility intensified during the period of the Zoot-Suit Riots. With over 15 million civilians and 12 million military personnel on the move throughout the country, there was a corresponding increase in vagrancy. Petty crimes became more difficult to detect and control, itinerants became increasingly common, and social transience put unforeseen pressure on housing and welfare. The new patterns of social mobility also led to congestion in military and industrial areas. Significantly, it was the overcrowded military towns along the Pacific coast and the industrial towns of Detroit, Pittsburgh and Los Angeles that witnessed the most violent outbreaks of Zoot-Suit Rioting . . . . The Zoot-Suit Riots, which were initially confined to Los Angeles, began in the first few days of June 1943. During the first weekend of the month, over 60 zoot-suiters were arrested and charged at Los Angeles County jail, after violent and well publicized fights between servicemen on shore leave and gangs of Mexican-American youths. In order to prevent further outbreaks of fighting, the police patrolled the eastern sections of the city, as rumours spread from the military bases that servicemen were intending to form vigilante groups. The Washington Post report of the incidents, on the morning of Wednesday 9 June 1943, clearly saw the events from the point of view of the servicemen. Disgusted with being robbed and beaten with tire irons, weighted ropes, belts and fists employed by overwhelming numbers of the youthful hoodlums, the uniformed men passed the word quietly among themselves and opened their campaign in force on Friday night. At central jail, where spectators jammed the sidewalks and police made no efforts to halt auto loads of servicemen openly cruising in search of zoot-suiters, the youths streamed gladly into the sanctity of the cells after being snatched from bar rooms, pool halls and theaters and stripped of their attire. Generals Giraud and de Gaulle reach agreement on the constitution of the French Committee of Liberation under their joint presidency. The Fuehrer informed us of events and occurrences at the beginning of the war - that is, the efforts of other countries to prevent this war, and even to put an end to it after it had already begun — only to the extent that these events were published in the press. He spoke to the politicians and to the Party quite otherwise than to the Wehrmacht; and to the SS differently again. The secrecy concerning the annihilation of the Jews, and the events in the concentration camps, was a masterpiece of secrecy. 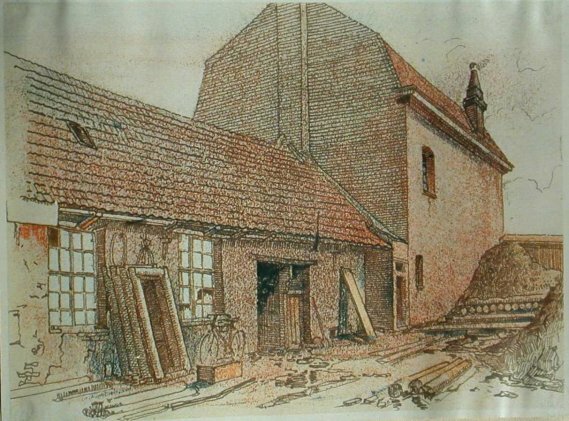 It was also a masterpiece of deception by Himmler, who showed us soldiers faked photographs about these things in particular, and told us stories about the gardens and plantations in Dachau, about the ghettos in Warsaw and Theresienstadt, which gave us the impression that they were highly humane establishments. 1947 Nazi wives: Ilse Hess, the wife of Rudolf Hess, and the wives of Walter Funk, Baldur von Schirach and Hermann Goering are arrested and taken to Goggingen internment camp in Bavaria. Note: All of their husbands, except for the deceased Goering, are serving time in Spandau Prison. In June 1942, as Vichy France proved unable to cope with the growing resistance against the Nazi occupation. Adolf Hitler dispatched . 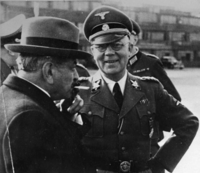 . . SS General Karl Oberg to Paris with orders to get tough. Oberg did. In the next two years as head of the Nazi security police in France, Oberg and his . . . adjutant, SS Colonel Helmuth Knochen, were responsible for the execution of more than 1,000 French hostages, the execution of underground resistance fighters at Mont Valérien and at the Cascade in Paris' beautiful park, the Bois de Boulogne, the extermination of hundreds of the Maquis, the destruction of the old port of Marseille, the deportation of the faculty of the University of Strasbourg, and the deportation from France of 120,000 Jews and 80,000 other Frenchmen, at least half of whom died in Nazi concentration camps or gas chambers. Frenchmen called Karl Oberg "the Butcher of Paris." Arrested by the British in Germany in 1945, Oberg and Knochen languished for nine years in Paris' Sante prison until in 1954 a Paris military court sentenced them to death as war criminals. Then came four more years in prison until finally . . . French President René Coty ruled. In keeping with the general Allied policy of no longer exacting the death penalty for war crimes, he commuted the sentences of both men to life imprisonment. Like other Nazis, Schacht was extremely hostile to Germany's Jewish population. In one speech he argued that "the Jews must realize that their influence in Germany has disappeared for all time." In 1934 he arranged with the World Zionist Organization, a deal where German Jews could pay 15,000 reichmarks to emigrate to Palestine. It is estimated that over the next four years over 170,000 reached Palestine under this agreement. 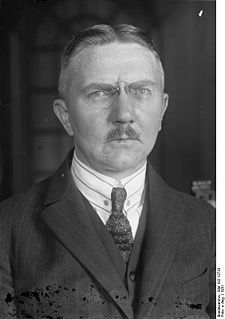 Schacht disagreed with what he called "unlawful activities" against Jews and in August, 1935 made a speech denouncing Julius Streicher and the articles he had been writing in Der Stuermer. He pointed out that Jews had fought bravely in the German Army in the First World War and deserved to be treated fairly. Schacht also had doubts about the large amounts of money being spent on armaments. He warned Hitler that he was building armed forces far beyond the country's economic capacity. He found it increasingly difficult working under Hermann Goering who fully supported the government's policy on military spending. As Goering told Schacht "If the Fuehrer wishes it then two times two are five." Arrested by the Allies he was accused of crimes against humanity at the Nuremberg War Crimes Trial. He was found not guilty but the German government had him re-arrested and charged him with other offences. He was sentenced to eight years imprisonment but he was freed on 2nd September, 1948.